to meet current and future client needs. SC&A is an employee-owned small business providing environmental and energy consulting services since our founding in 1981. We are headquartered in Arlington, VA, with satellite offices in Germantown, MD, and Chapel Hill, NC. April 2019 - SC&A Cybersecurity Specialist Quoted. Tom Donahue, Senior Cybersecurity Specialist at SC&A, was recently quoted in the Washington Post discussing the risks of potential espionage and cyber attacks against the United States related to Chinese firm Huawei’s major share of the 5G global network. April 2019 - Award of NIOSH Contract. SC&A has been awarded a five-year contract for “Technical Support for the Advisory Board on Radiation and Worker’s Health Review of NIOSH Dose Reconstruction Program.” The work involves the evaluation of worker health at DOE facilities across the country; SC&A has supported this work under multiple contracts since 2003. The total value of these contracts is over $60 million. March 2019 - Annual Greenhouse Gas Emissions Reports. SC&A has won a project to prepare annual greenhouse gas (GHG) emissions reports for the Energy Cooperative, a natural gas, electricity, and propane supplier with a service area of 15 counties in Central Ohio. The work included assessing carbon dioxide, methane, and nitrous oxide emissions from natural gas distribution, transmission, and storage activities. February 2019 - Air Toxics Training for State and Local Agencies. SC&A has won a project to conduct an air toxics training course for State and local agency members of the Western State Air Resources (WESTAR) Council. SC&A’s Andrew D. Shroads, QEP, will be the instructor for this course, to be held September 30 and October 1, 2019, in Denver, CO. Please check back soon for more details. January 2019 - Environment, Health & Safety Reviews. SC&A was awarded a new contract from CHWMEG Inc. to perform 15 environment, health and safety reviews for 2019. SC&A has supported this program since 2003 and performed 278 reviews in 25 states and 8 countries. The facilities reviewed have ranged from electronics recycling facilities to radioactive waste management facilities. January 2019 - Tier II Emergency and Hazardous Chemical Storage Reporting. SC&A was awarded a contract from the Energy Cooperative, a natural gas, electricity, and propane supplier with a service area of 15 counties in Central Ohio. The work included a review of all Energy Cooperative sites, including propane storage terminals, natural gas storage wells, natural gas transmission compression stations, and oil and gas wells, to determine the onsite storage of hazardous and flammable materials. SC&A developed site plans, maps, and chemical inventories and submitted Emergency and Hazardous Chemical Inventories (Tier II reports) to the Ohio State Emergency Response Commission, county emergency management agencies, and local fire departments. These agencies use the Tier II reports for emergency response planning within their communities. December 2018 - RCRA Enforcement, Permitting and Assistance (REPA) 6 Contracts. SC&A was awarded a RCRA (REPA) 6 contract for EPA Regions 4, 5, and 6 valued at $9 million. SC&A is also a subcontractor on ERG’s recently awarded REPA6 Zone 3 contract, which serves EPA Regions 2, 7, 9, and 10. December 2018 - Draft EA for Renewal of Source Material License Issued. Led by Dr. Abe Zeitoun, SC&A Senior Vice President, and Milton Gorden, Senior Engineer, SC&A subject-matter experts supported the NRC staff’s development of the Draft Environmental Assessment for the Proposed Renewal of Source Material License SUB-526, Metropolis Works Uranium Conversion Facility (Massac County, Illinois). We assessed the potential environmental impacts of the proposed license renewal associated with the following resource areas: land use, geology and soils, water resources, ecological resources, cultural resources, air quality, socioeconomics, environmental justice, scenic and visual resources, public and occupational health, transportation, and waste management. The EA also considers the cumulative impacts from past, present, and reasonably foreseeable future actions when combined with the proposed action. For more information, please refer to the Federal Register Notice and Request for Comments. October 2018 - Oral Limited Appearance Session and Evidentiary Hearing in the Matter of Crow Butte Resources, Inc. (Marsland Expansion Area). Through our Senior Hydrologist, David Back, SC&A is supporting the NRC legal and technical staff in receiving oral limited appearance statements from members of the public and in holding an evidentiary hearing in Crawford, NE, regarding the license application for the Marsland Expansion Area. The Marsland Expansion Area is a proposed in-situ uranium recovery facility located in northwest Nebraska. The evidentiary hearing began October 30, 2018, and will continue from day-to-day as needed. For more information, refer to the NRC Atomic Safety & Licensing Board’s Amended Notice of Hearing. SC&A supported the NRC in preparing the environmental assessment (EA) for the Marsland Expansion Area that was issued in April 2018. Dr. Abe Zeitoun, SC&A Senior Vice President, and Milton Gorden, Senior Engineer, led the team that prepared the EA. October 2018 - SC&A Staff Presentation to Utah Waste Management and Radiation Control Board. EnergySolutions had requested an exemption from Utah’s regulations requiring a performance assessment (PA) before burying depleted uranium (DU) at its Clive, Utah facility. Utah Department of Environmental Quality (DEQ) staff made a presentation to the Board that raised concerns, including the geochemically unstable nature of DU metal, its reactivity in a moist, carbonate-rich environment such as at Clive, and its ability to react to form explosive substances. DEQ said it could not support the exemption without a specific DU metal PA that demonstrated that there would be no undue hazards to public health and safety or the environment and that performance objectives would be met. Stephen Marschke, a nuclear engineer from SC&A, shared the SC&A analysis of data provided by EnergySolutions with the Board. SC&A stated that Utah’s regulation was clear: a PA is required for disposal of more than one metric ton of DU. Marschke also noted that the PAs cited by EnergySolutions were not site-specific for DU, and that EnergySolutions had not demonstrated that an exemption from this regulation would not result in undue hazards to public health. After the presentations, the Board voted unanimously to reject the exemption request. For more information, refer to this news item on the DEQ website. August 2018 - SC&A Paper on Economic Impacts of Cybersecurity on Small Businesses. SC&A published a study on the direct and indirect costs of cyber attacks on small businesses. July 2018 - SC&A Staff Publish on Environmental Health. 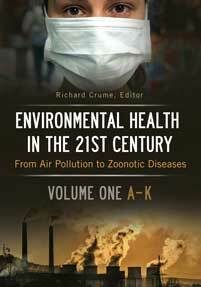 Joanne O’Loughlin and Jill Mozier of the Chapel Hill Office contributed to the recently published Environmental Health in the 21st Century: From Air Pollution to Zoonotic Diseases. Ms. O’Loughlin authored a chapter on Asthma and Air Pollution, and Ms. Mozier authored a chapter on Woodstove Air Pollution. June 2018 - Climate Action Planning for the Memphis 3.0 Comprehensive Plan. The City of Memphis and Shelby County have selected SC&A to lead a stakeholder-driven climate action process. SC&A will be developing the community-wide GHG inventory and forecast scenarios compliant with the requirements of the Global Covenant of Mayors for Climate & Energy. SC&A will also facilitate a climate action process with input from community, government, and private sector actors. The process will culminate in the selection of priority climate actions that achieve greater energy efficiency, lower GHG emissions, and generate local economic opportunities. Selected priority actions will also promote broader City goals of connectivity, livability, opportunity, and sustainability. June 2018 - Maintenance and Repair of the EPA RadNet Fixed Air Monitoring Systems. SC&A has been awarded a 3-year contract to support the EPA’s National Air and Radiation Laboratory (NARAL) in Montgomery, AL, in maintaining the operability of the national RadNet system. RadNet has more than 130 fixed radiation air monitors located in all 50 states. The RadNet systems run 24 hours a day, 7 days a week to monitor the nation’s air, precipitation, and drinking water to track radiation in the environment. SC&A instrumentation engineers and technicians will ensure that the RadNet system is working satisfactorily and that onsite maintenance and repair of monitors is timely and thorough. We will also help NARAL identify and test potential replacements for components and parts that may have become obsolete or difficult to obtain. 5/2018 - Technical Assistance for the NEPA Review of Historical, Cultural, and Religious Resources for the Dewey-Burdock In Situ Uranium Recovery Project. SC&A has been awarded a task order to help the NRC staff review and evaluate information gathered on sites of historical, cultural, and religious significance to the Lakota Sioux Tribes that could be impacted by the Dewey-Burdock ISR project in Custer and Fall River Counties, South Dakota. SC&A will provide technical assistance in identifying significant sites and determining whether they are eligible for listing in the National Register of Historic Places. We will help evaluate the impact of project construction and operation on the sites and identify measures to avoid, minimize, or mitigate impacts. SC&A will also help the NRC staff incorporate this information into the final SEIS. 3/2018 - SC&A is pleased to announce that Thomas Donahue has joined SC&A as a Senior Cyber Security Specialist. Tom retired from CIA after 32 years of service. He served as the Chief Editor of the President’s Daily Brief during the second term of the Clinton administration and spent the last 18 years at the Center for Cyber Intelligence. He served four years at the White House during the Bush and Obama administrations, most recently as the senior director for cyber operations for the National Security Council staff. During his last two years, he was the research director at the Director of National Intelligence’s Cyber Threat Intelligence Integration Center. Read his recent brief on cyber security. 11/2017 - SC&A is now a CDP Cities Accredited Service Provider. CDP is a nonprofit organization that runs the global disclosure system for investors, companies, cities, states and regions to manage their environmental impacts. Through this partnership, SC&A supports CDP cities in disclosing their environmental activities, understanding their impact, and taking action to achieve enhanced sustainability and resilience. 10/2017 - The Human Exposure Model (HEM) is the EPA’s go-to tool for assessing the risk and exposure to the public from toxic air pollutants. SC&A developed the current version (HEM-3) for the EPA and is under contract to create HEM-4 using state-of-the-art open source code. SC&A has used HEM-3 to assess risks and exposure of thousands of communities across the country for the EPA’s National Air Toxics Assessment and under the Risk and Technology Review program. In addition to the HEM, SC&A has also conducted environmental justice and other demographic analyses of risk and exposure for many of these communities. SC&A has the knowledge and expertise to use these tools to support community risk assessment efforts and related projects under programs such as AB 617 in California to help government agencies better understand the effects of toxic air contaminant emissions on the public. 7/2017 - SC&A is pleased to announce that Shane Brightwell, who founded and led Professional Radiation Consulting, Inc., has joined SC&A as a Senior Vice President and will lead the firm’s radiological remediation practice. Shane has extensive experience in radiological remediation and decommissioning across the United States, with significant experience in New Jersey. 4/2017 - SC&A is pleased to announce we received a safety award from Mosaic Fertilizer, LLC for our NORM remediation project at two of their sites, with the plaque inscription "For Your Excellence in Safety Leadership and Performance." 4/2017 - SC&A is pleased to announce that DOE and NYSERDA have awarded the firm a $16.9 million contract to support the West Valley Demonstration Project Supplemental EIS. 4/2017 - SC&A, Inc. recently made a donation to Alexandra Shroads, the daughter of SC&A’s Midwest Regional Manager Andrew Shroads, to support her travel to the National Invention Convention and Entrepreneurship Expo at the U.S. Patent and Trademark Office in June. Alexandra’s invention, the Lumi-Tarp, is an illuminated, solar-charged tarp for use by refugees, campers, and the homeless. The Lumi-Tarp won the local contest at her school, Cornerstone Academy, and won the state-wide contest held by the Ohio Invention League. Her project was one of the select few chosen to represent Ohio at the National Invention Convention. Alexandra is very interested in zoology and conservation and plans to study conservation biology, specifically the conservation of rhinoceroses. We wish Alexandra good luck at the National Invention Convention! 1/2017 - SC&A’s popular NORM/TENORM Awareness course for oil and gas workers is now available in an online version for computer, tablet, or smartphone. This course meets the minimum training requirements in 29 CFR 1910.1096(i) and 10 CFR 19.12 for U.S. workers. An international version is coming soon. Give your team access to essential training 24/7 through individual or bulk purchase. Learn more here. 11/2016 - SC&A is pleased to announce that we have been awarded a mission support contract with the Department of Homeland Security, Defense Nuclear Detection Office, Operations Support Directorate Training, Exercise and Assistance Division. The estimated contract value is $23,910,000. 11/2016 - SC&A is pleased to announce we have been awarded a 5-year Blanket Purchase Agreement (BPA) with a contract ceiling of $91 million with DOE, including the NNSA and FERC. The BPA scope involves the preparation of environmental impact statements, environmental assessments, and related documents to comply with the National Environmental Policy Act. 8/2016 - SC&A was recently awarded a subcontract under an Adjusters International’s Tidal Basin Group contract to support Continuity of Operations (COOP) program review and plan development for the Dallas/Ft. Worth International Airport. SC&A will provide subject matter expertise on both COOP planning and airport operations to assist the Tidal Basin Team in evaluating current gaps and shortfalls in the existing plan and help develope improved COOP program processes and a revised COOP plan. 8/2016 - SC&A has been awarded contracts to perform verification services for the San Diego International Airport and another large metropolitan airport in California, who are pursuing Level 2 certification with the Airports Carbon Accreditation (ACA) program. In the capacity of independent verifier, SC&A is auditing the airports’ carbon management practices and reviewing their carbon footprints to corroborate that their operations meet stated greenhouse gas emissions reduction goals. 6/2016 - SC&A has been awarded a Task Order Contract to provide environmental, scientific, and energy consulting technical services to the State of Utah Department of Environmental Quality, Division of Waste Management & Radiation Control. These services include licensing and relicensing support, hydrogeological studies, performance assessment, engineering, cost benefit analysis, and environmental investigations and compliance. 5/2016 - John Mauro, Sr. Vice President with SC&A, was recognized by the Conference of Radiation Control Program Directors, Inc. with an Award for Meritorious Service for his contribution to CRCPD’s E-42 Task Force report on TENORM aspects of the Oil and Gas Industry. 5/2016 - As a subcontractor to Mozaik Solutions, Inc., SC&A was recently hired to provide subject matter expertise to assist the Santa Cruz Public Health Department in conducting their Continuity of Operations (COOP) Plan, Business Impact Analysis (BIA). This work includes designing data collection tools, conducting focus groups, collecting information, and analyzing Department programs, policies, procedures, resources, and interdependencies to identify mission essential functions and associated requirements for performing those functions. The BIA will serve as the foundational document for the Department in developing their COOP plan and establishing a viable COOP program to ensure essential functions can be performed regardless of circumstance. 4/2016 - SC&A’s wholly-owned subsidiary, EC/R, was awarded a task order with EPA’s Clean Air Markets Divison to provide on-site desktop-server Linux support.